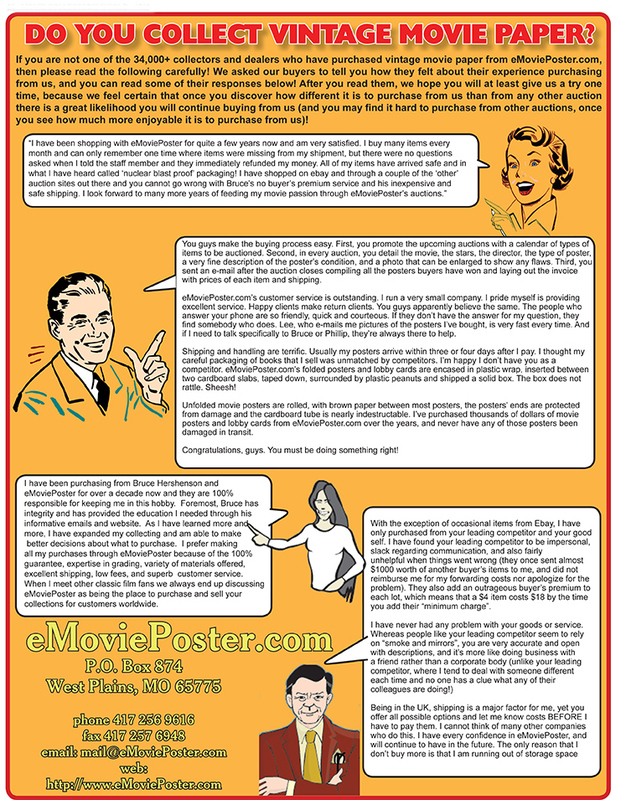 9f068 CHECK & DOUBLE CHECK linen 1sh '30 great art of Amos 'n' Andy in the only movie adaptation! 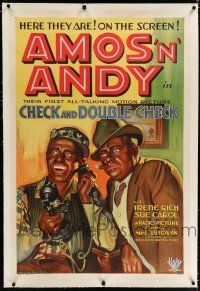 Check and Double Check, the 1930 Melville W. Brown (billed as "Mel Brown") Amos & Andy slapstick family relationship black African American-played-by-white-actors-in-blackface comedy ("Amos 'n' Andy on the screen! All Talking"; "Here they are! On the screen! "; "Their first all-talking motion picture"; the first and only movie adapted from the hit radio show, with the white voice actors playing their parts in blackface) starring Freeman F. Gosden (in the title role as Amos), Charles J. Correll (in the title role as as Andy), Irene Rich, Sue Carol, Ralf Harolde, Russ Powell (as Kingfish), and Roscoe Ates. Note that this was the only movie ever adapted from this extremely popular radio series, and RKO created a wonderful one-sheet for it. In 1951 to 1953, there was a very popular TV show, which starred black African American actors in the lead roles (and it is never shown, because of "political correctness", which is a shame, because it is an excellent series). 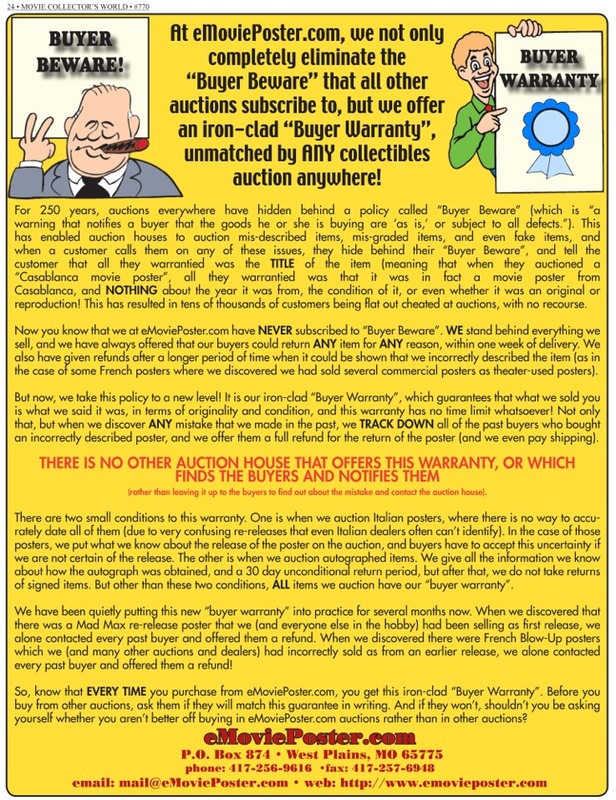 Important Added Info: Note that we auctioned this poster in 1995, and it has been reconsigned to us 19 years later. We have never auctioned another example of this poster, and it may be decades before we get it again! Overall Condition and Pre-Restoration Defects with Quality of Restoration: very good to fine. The poster had tiny paper loss at the bottom two crossfolds and very minor wear on the foldlines. 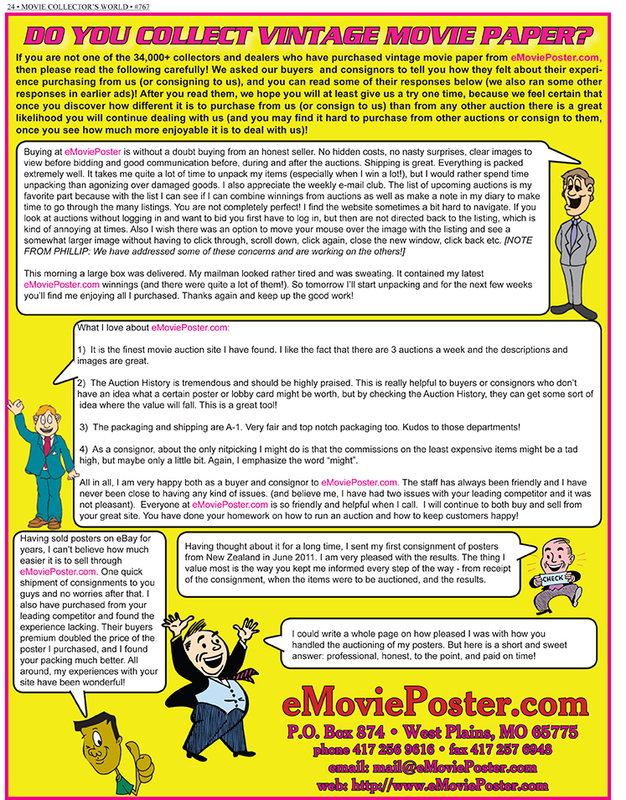 It had a 4" vertical tear near the top center of the poster, extending into the top of the "M" of "AMOS". It had tiny pinholes in the corners. Overall, the poster was in very good to fine condition prior to linenbacking. 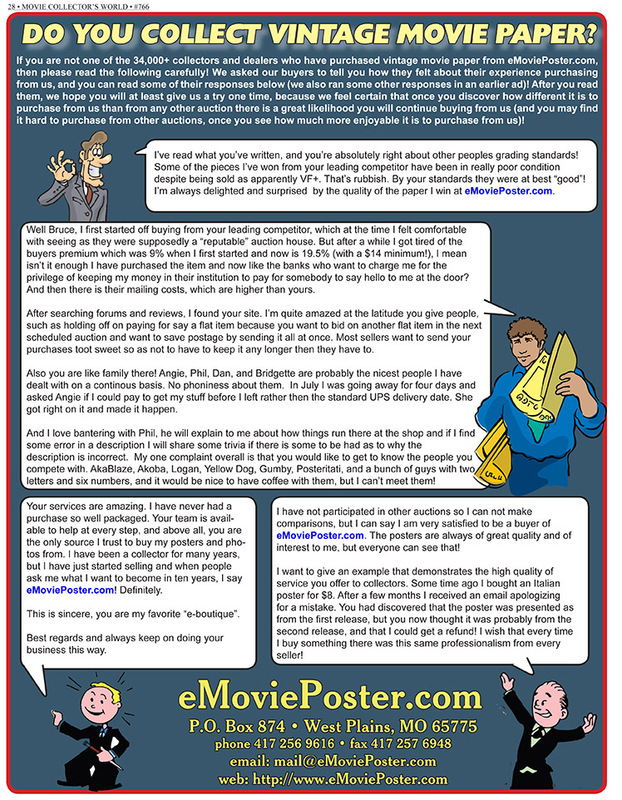 The poster was nicely backed, and displays well!